We all have dental needs. Kids. Teens. Adults. It will eventually be important to consider a local dentist in my area. If you’re living in the Coral Springs FL area that choice is easy. 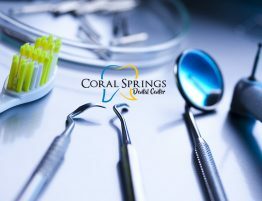 Coral Springs Dental Center is a full size and modern dental group with a calming, professional atmosphere. Our clients range in age from young to old and our abilities cover the full range of dental specialties. 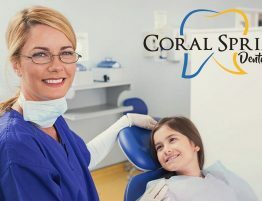 Follow any of the links below if you are interested in learning more specific details about any of the dental treatment services we provide To book an appointment with the top dentist in my area, contact Coral Springs Dental Center soon. We also recently extended our hours to help accommodate our working or busy patients as much as possible, including Saturday dental appointments from 8am-2pm. However, slots do fill up quickly, so don’t hesitate too long! 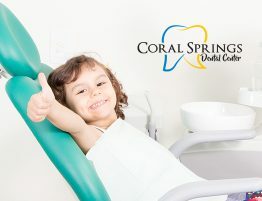 Coral Springs Dental Center takes pride in our pediatric dentistry department. We make sure your kids are comfortable, at ease, and entertained while being educated about the importance of dental habits. Developing good dental hygiene habits early in life is paramount to having a strong, healthy smile later in life. Our pediatric dentists also have training in children’s psychology to further aid in making the experience as easy as possible. Though it is not at all unusual for children to need braces, more adults are now taking advantage of alternatives to traditional metal braces. 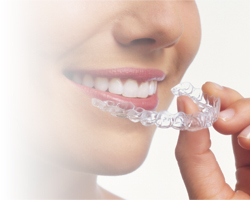 Our orthodontics department provides Invisalign services to both children and adults as well as a variety of braces options to straighten your teeth for that perfect smile. In the event you have lost or damaged your teeth, our prosthodontics department will help restore your smile. 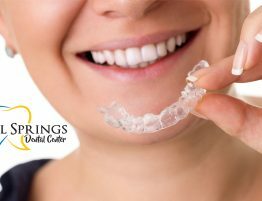 We can employ crowns, veneers, inlays, onlays, dentures, and bridges to reconstruct your mouth to the smile you’ve always wanted. Our endodontists specialize in root canals that help to save teeth without the need for tooth extractions. This is often recommended over tooth extractions because of the potential complications those can create. Gum diseases can develop into potential infections that cause permanent tooth damage, which is when what periodontics is for. Regular teeth cleanings help to prevent gum disease from forming while allowing any diagnosing of future dental complications. Sometimes implants are also necessary in the event tartar and plaque build up is too severe. 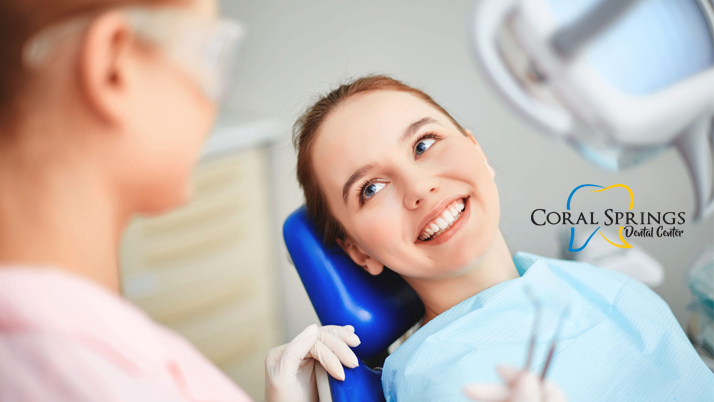 Sometimes the need for oral surgery is necessary such as wisdom tooth removal and single tooth extractions. Implant placement is also sometimes necessary for practical and cosmetic reasons if the extraction negatively impacts the patient’s self-image. 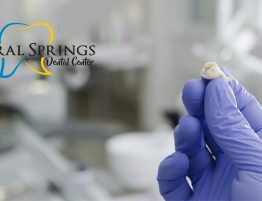 If you are still looking for a local dentist in my area that is affordable and full of a team of highly trained specialists, consider us your best solution. 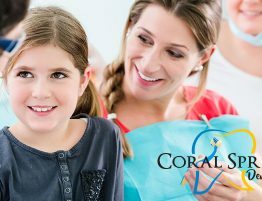 Contact Coral Springs Dental Center to book an appointment online or call us at 954-344-8800 today.